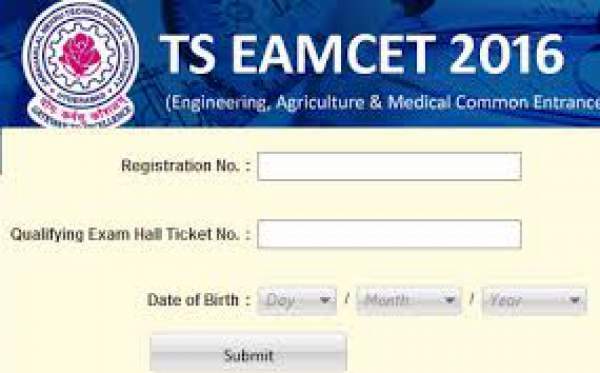 Engineering, Agriculture and Medical Common Entrance Test, commonly known as the Telangana EAMCET, is the examination through which the students who want to pursue MBBS and BDS courses gets the opportunity to get admissions into the Universities and Institutes of the state. For the year 2016, the EAMCET Medical stream paper was canceled because of the ongoing NEET issue then. Later when the state boards are allowed to hold their own medical entrance tests. Jawaharlal Nehru Technological University, Hyderabad (JNTU) had again come up with this Medical Common Entrance Test. According to the planned schedule, EAMCET-II was successfully held on 09th July. Soon after the examination, The TS EAMCET 2016 Answer Keys were released by them on their official website. The candidates who appeared for the exam and were interested in accessing the provisional key easily watched the official answer key which was made available on the site i.e. www.med.tseamcet.in. Later, the EAMCET 2016 examination was canceled for the Medical students due to some of the NEET issue but later, as per the orders of the Supreme Court, the test was again rescheduled to be held on 09th July 2016. The students who applied for the EAMCET 2016 examination earlier had again applied for the Telangana EAMCET-II 2016 examinations in the month of June and finally, the exam Telangana EAMCET-II 2016 was successfully conducted on 09th July. Now, the candidates who are waiting for the Preliminary TS EAMCET 2 2016 Answer Keys can download them by accessing the official site and evaluate their performances. The cutoff marks for the Telangana Medical Entrance examination for the unreserved category is 25 % marks, i.e., 40 marks out of 180. The students who secured qualifying marks in TS EAMCET II 2016 and belonging to the SC/ ST for whom qualifying marks have not been prescribed shall be assigned rank in order of merit based on combined score obtained by giving 75% weightage to the marks secured in Telangana EAMCET Medical 2016 and 25% weightage to the marks secured in the relevant group subjects namely Biology, Physics, Chemistry of the qualifying examination. • Visit the official website of TS EAMCET-II i.e. www.med.tseamcet.in. • It will direct you to the homepage where you need to search for the Preliminary Answer Key. • Once you find the link, click on it. • Download the key that will be available in the PDF format and check your performance and you can further evaluate your score in the examination. Moreover as per the instructions provided by the authority, the last date for submitting the objections in the answer keys, online is 12th of July after which the Key will be locked.